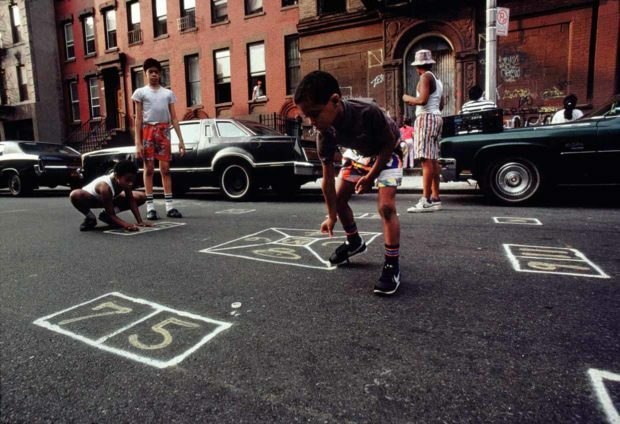 Skeely Street Game, Spanish Harlem, New York, 1987. 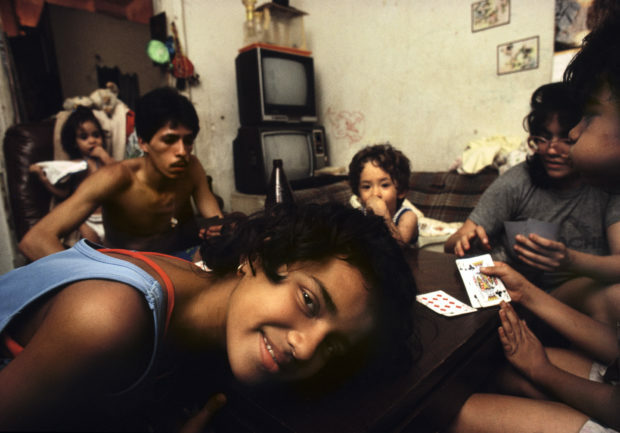 Saturday Night Cards, Rodriguez Family Spanish Harlem, New York, 1987. In the wake of World War I, Puerto Rican and Latin American immigrants first began arriving in New York, settling in a little corner of upper Manhattan around 110th Street and Lexington Avenue, which is now known as Spanish Harlem. With a foothold firmly established in El Barrio, the neighborhood blossomed after World War II, when a new wave of immigration transformed the face of the city. By 1960, some 63,000 Puerto Ricans called Spanish Harlem home, bringing the culture of the Caribbean to the northern climes. With bodegas and botánicas catering to the culinary and spiritual needs of the people, Spanish Harlem became an enclave unto itself. But the land of the free was hardly this to the immigrants who faced a system of exclusion that kept them in a state of poverty. By 1970, Nixon aide Daniel Patrick Moynihan established a policy of “benign neglect” that deprived Latinx and African-American communities nationwide of basic government systems. Add to this a drug war started by the Nixon White House to flood these neighborhoods with heroin in order to destabilize and criminalize the population, and the results were devastating. 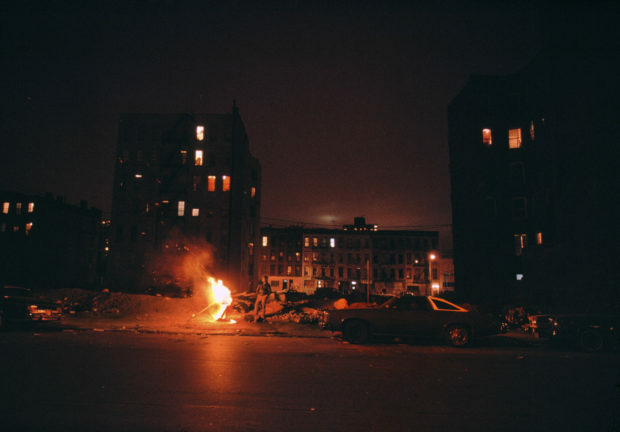 By the late 1980s, after crack made its way through the streets, the people of Spanish Harlem were struggling with rampant crime, addiction, and poverty. At the same time, AIDS was taking innocent lives while the Reagan White House turned a blind eye on a plague that was disproportionately harming the Latinx and African American communities. 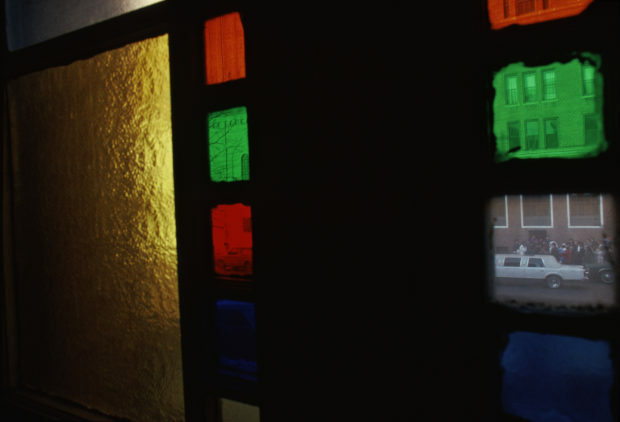 Born and raised in Brooklyn, Puerto Rican-American photographer Joseph Rodriguez became familiar Spanish Harlem as a child, when he traveled uptown to visit his uncle who had a candy shop in El Barrio. Like many of his generation, he fell victim to the heroin epidemic and ended up incarcerated on Rikers Island for drug possession during the early 1970s. Upon release, Rodriguez was determined to turn his life around. He picked up the camera and began using it as a tool to help disadvantaged communities. 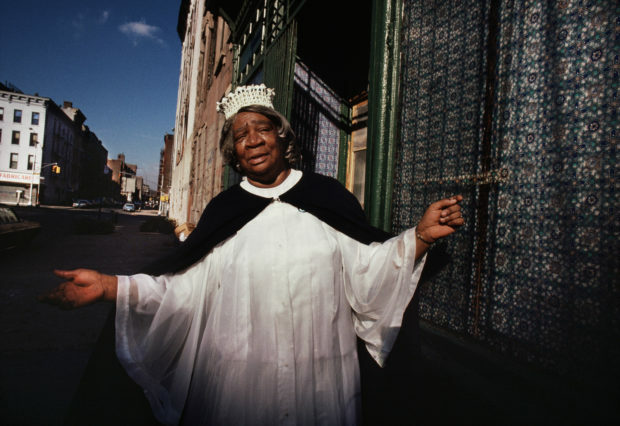 As a student at the International Center of Photography, he first began documenting gentrification in Spanish Harlem in 1984. Rodriguez had a profound understand of the struggle, and worked from a place of understanding and empathy. Willing to spend years to get the story as accurate as possible, Rodriguez became fully immersed in this world, capturing a 360-degree look at life in El Barrio. Through his eyes, we see it all: life on the streets, inside the homes, the social clubs, the hospitals, churches, and trap houses. We see Tito Puente on stage and a junkie on the roof, trash-strewn alleys and children beautifully clad in suits. The photographs are filled with love and loss, with passion and pathos. This is a story of the community as told from the inside. The photographs were first published in May 1990 in a 26-page cover story for National Geographic – an act for which its photo director William Garrett was fired. Rodriguez’s unflinching photographs challenged the magazine’s politics. Yet this did not deter the National Museum of American Art from hosting an exhibition and co-publishing a catalogue with D.A.P. in 1995. 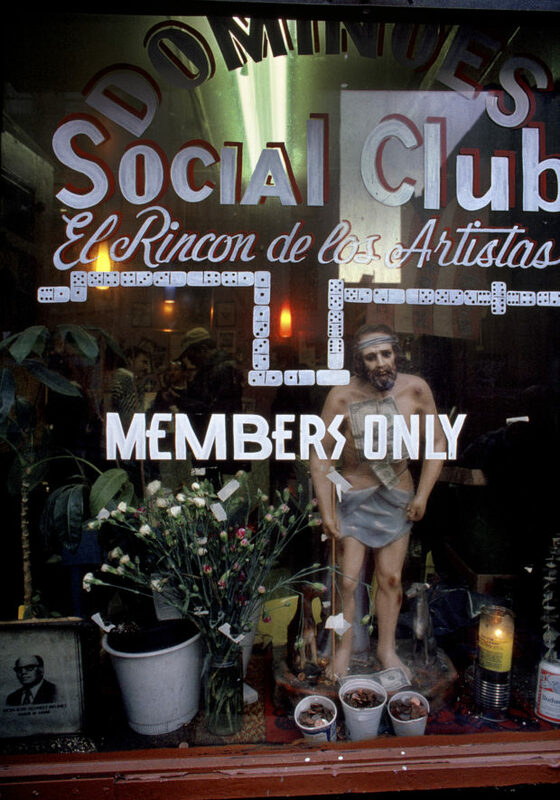 Now, two decades later, Rodriguez returns with Spanish Harlem: El Barrio in the ‘80s (powerHouse Books) and the tie-in exhibition at Galerie Bene Taschen, Cologne (April 20-June 30, 2018). Revisiting this body of work some three decades after it was first made could not be better timed, as it gives us a perspective on the systems of destruction and erasure through the on-going practice of gentrification that is upheld by both the government and the mainstream media, which work together to vilify and villainize the most vulnerable communities on earth. Here, we see the story from the inside looking out, a tale of power and perseverance as well as a tribute to those who fell victim to a cycle of destruction and are no longer here to speak for themselves. This is the truth about America, one that must be told so that we never forget. 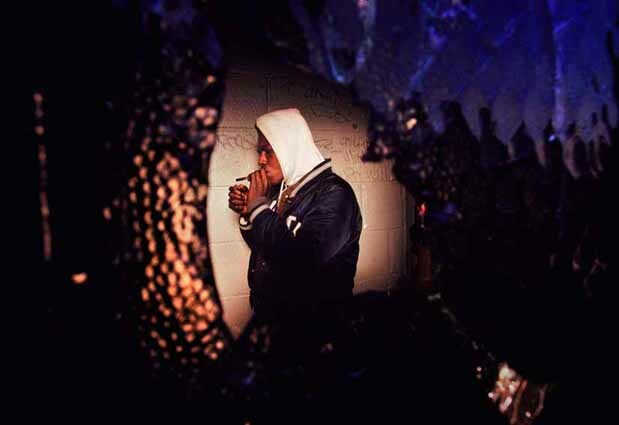 Dwayne Smoking Crack, Spanish Harlem, New York, 1988.